Details regarding specific programs and dollar amounts for Department of Defense cyberwarriors are becoming clearer amid recently released budget documents. The requests for fiscal 2020, released March 18, provide insight into the direction of certain programs and where U.S. Cyber Command is looking to spend to equip its cyber mission force. 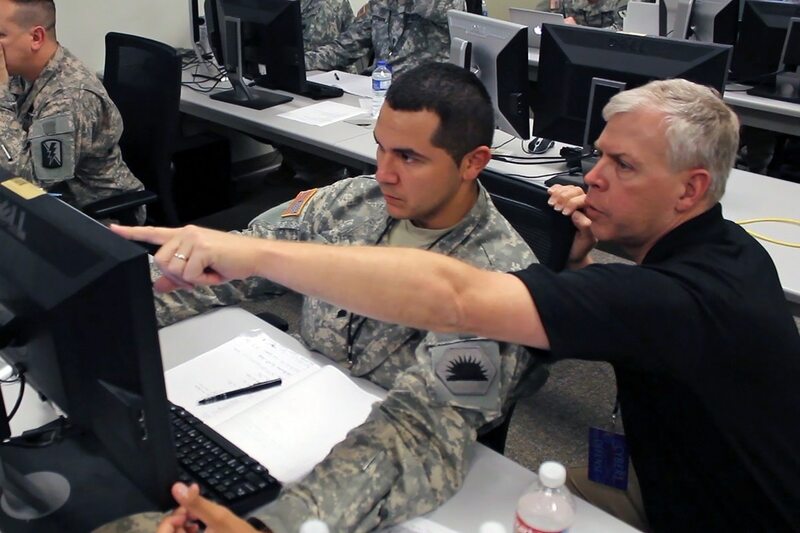 Despite having its own unique acquisition authority, Cyber Command as a combatant command relies on the services to procure systems, infrastructure and tools as executive agents (the Air Force being the primary executive agent for most CYBERCOM systems). As has also been outlined in previous budget requests, Cyber Command seeks to develop and expand infrastructure and capabilities under four broad areas: joint common services, joint access platforms, joint tools and joint analytics. Here are four programs and capabilities Cyber Command is looking to purchase in fiscal 2019. Under the Air Force’s research and development budget request for FY20, these four items total $198.8 million. This number goes up year by year, totaling $233 million in FY24. Joint common services ($36.3 million) – Funds support the cyber mission force in cyber operations. FY20 plans include continued development of the Joint Cyber Warfighter Architecture. Given the joint nature of cyberspace operations, DoD decided it needed a singular approach to tools and platforms — as well as tools — that the entire cyber mission force across all the services will use. The JCWA will guide this capability development across the services. Other FY20 plans under this effort include development of cross domain solutions, technologies, polices and processes needed to enable intelligence sharing of threat indicators. Joint access platforms ($68.6 million) – Funds support capabilities used by the cyber mission force to access targets and retrieve data. FY20 plans include development of on-net operations infrastructure and development of improvements for client/server platforms for multiple mission-based cyber effects. Joint tools ($86.3 million) – Funds support capabilities used by the cyber mission force to conduct cyber operations against aligned targets. FY20 plans include continued development of specialized tools for targets during operations by the cyber mission force. Joint analytics ($7.4 million) – Funds support capabilities used by the cyber mission force to correlate data collected form multiple sources to establish insights enabling decision making. FY20 plans include continued development and sustainment of frameworks and accompanying data analytics for cyber operations. An additional item in the Air Force’s budget items is something called Joint Cyber Command and Control. JCC2 is a system that will provide commanders enhanced situational awareness and battle management for cyber operations conducted by the cyber mission force, Air Force research and development budget documents state. FY20 requests ask for $11.6 million under the project Foundational Efforts, which include software engineering, risk management, developmental framework management and the execution of acquisition activities. Specific actions in FY20 under this effort include developing capabilities and initiating the cyber tasking order used by the cyber mission force to conduct cyber operations, building a development environment and building DevOps teams for continued piloting at combatant commands. The budget documents note that this program officially transitioned from Cyber Command to the Air Force as the lead service as the executive agent.